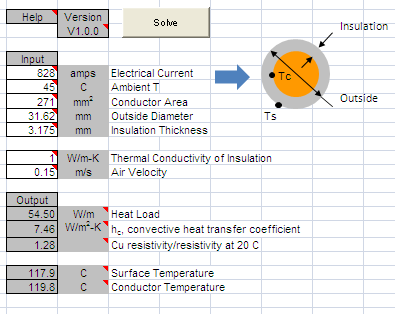 Joule heating of insulated copper power cable. coefficient and copper resistivity are output. forced velocity is calculated and output. can be input as a table of current versus time.